Keszthely is the largest and oldest settlement on the shore of Lake Balaton and in Roman times it was an important trading center. 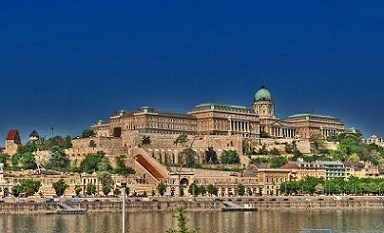 The most famous attraction is Festetics Palace. A museum is also located in the Baroque palace. The partly preserved original interiors are a real specialty - rare in Hungary, because most of the Hungarian castles were plundered during World War II. As part of a guided tour, you can visit 18 furnished rooms. After the castle tour we take a walk through the old town with its Baroque houses and tempting cafés. A Gothic parish church from the 14th Century is located on the main square with beautiful frescoes and rose windows. After the city tour we continue to Sümeg (30 km). Medieval Feast - Guests are served by warriors and ladies in authentic costumes. Food is generally consumed with hands according to medieval traditions. After the feast you can experience an exciting knight tournament just like in the Middle Ages. The city of Veszprém lies about 15 km from the northern shore of Lake Balaton and besides its good shopping opportunities, it is known for its beautiful old town with its ancient bishopric. The most remarkable sight of the town is the castle and the Baroque style old town lying around. 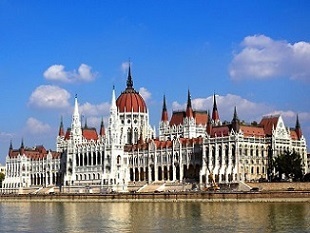 The origin of the town is closely related to the formation of Christianity in Hungary. Holy King Stephen was our first christened king. His wife, Giselle, the princess of Bavarian Passau, founded the bishopric of Veszprém and settled here in a newly constructed castle. She gave the bishops an honourable privilege: crowning the wife of kings. This tradition has survived until the end of the monarchy in Hungary, the last crowning was the ceremony of Queen Zita. Walking up to the castle takes you pass by many witnesses of the history of Veszprém. Petőfi Theatre next to Károly Eötvös County Library, House Kapuváry, Óváros Square with House Pósa and City Hall have all their own histories. The castle also hosts a variety of sights. During a walk, it is recommended to concentrate on both sides, if you do not want to miss a thing. The pride of the castle is the Baroque fire tower, which stands on ancient ground: it has been used to protect the city for a long time. Today it is one of the most beautiful viewpoints in town. The Heroes Gate, the Church of the Piarists, the Archbishop's Palace, the St. Michael's Cathedral, The Giselle Chapel and St. Stephen's Church are all delight for the eyes. Many museums of all kinds of art are awaiting you in the old buildings. The Csarda in Balatonfüred awaits the dear guests with a rustic restaurant, and provides excellent food of the traditional Hungarian cuisine and fine wines. After receiving a brandy, the grape harvest program begins: grape picking and pressing, with amusing entertainment program and games. The program is followed by a delicious lunch with unlimited wine consumption. Alternative program in case of bad weather: wine tasting in the cellar instead of grape picking, rest of the program remains the same. Here your guide will show you the Baroque Benedictine abbey and monastery, which were founded in 1055 by the Hungarian King, Andrew I. During the Turkish era this area was completely devastated, including the original Romanesque church, but a new Baroque church was constructed on the ruins later in the 18th Century. The copy of the founding document, which is the oldest example of Hungarian and Finno-Ugric language, is exhibited in the crypt. Outside, from the terrace of the church, you can enjoy a magnificent view of the lake. After spending some time on the street of artisans, you can admire old fishermen's houses with their thatched roofs from the 18th Century and many souvenir shops. Transfer is not included, please ask for a quotation.